Book your holiday with Althams Travel and let us take the stress away on the day of your holiday with our airport transport. One of our friendly, highly experienced drivers will be at your door to greet you and assist you with your luggage so you can be on your way to the airport in no time. Airport transfers are available from your door to Manchester, Liverpool and Leeds Bradford airports. 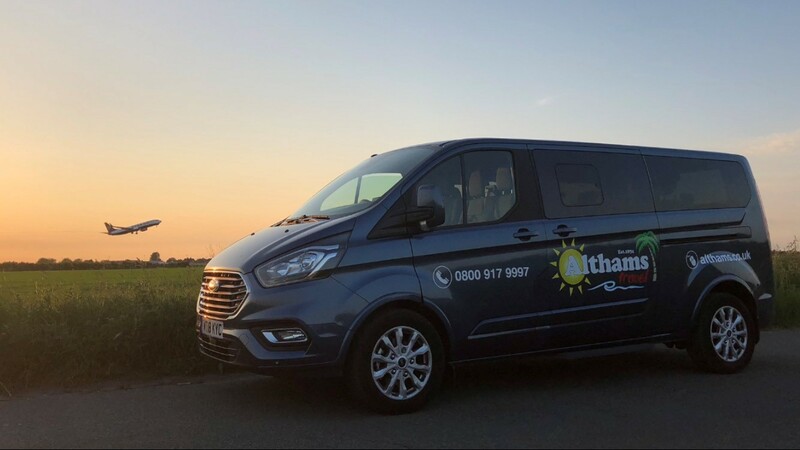 We have a large attractive modern fleet of vehicles which are all fully licensed and insured and we offer a first class service, operating 24 hours a day, 7 days a week. Travelling with children we can supply the correct child seat for you.